Posted in: The Interviews. 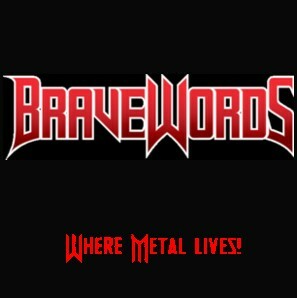 Tagged: BW&BK, Dystopia album, Iced Earth, Into Eternity, Jon Schaffer, Matt Barlow, Night Of The Stormrider, Plagues Of Babylon, Stu Block, Tim "Ripper" Owens. 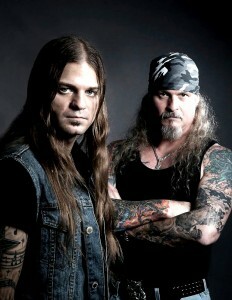 In 2011, Iced Earth said goodbye to fan-favoured vocalist Matt Barlow (again). A potentially disastrous situation for a band that had clawed and carved its way to something pretty damn close to the top over two decades, but they were given a second chance (again) with the entrance of Into Eternity frontman Stu Block. 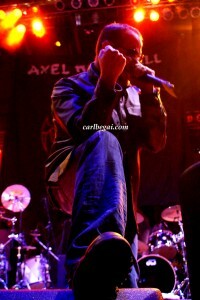 His Iced Earth debut album, Dystopia, went over a storm compared to its cold and dense predecessors – Framing Armageddon (’07), The Crucible Of Man (’08) – and the world tour that followed cemented Block’s position as the band’s singer. Iced Earth’s new album, Plagues Of Babylon, doesn’t exactly pick up where Dystopia left off in that it comes off as darker and more aggressive – and hell, more epic – but it most certainly matches Dystopia for intensity and being a solid no-bull fan friendly package. Posted in: The Interviews. 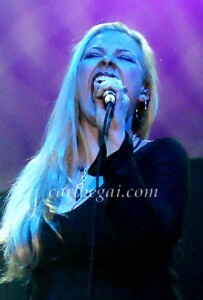 Tagged: Amanda Kiernan, BW&BK, Fukushima, Iced Earth, Into Eternity, Stu Block, Tim Roth. It takes remarkable strength of character to throw yourself to the wolves knowing you’re going to get bitten and potentially ripped to shreds. So it goes that, regardless of what Into Eternity fans may think of vocalist Amanda Kiernan stepping in to replace Stu Block – now a member of Iced Earth – for the band’s live activities, they have to respect her for willingly putting herself in harm’s way. It turns out that Kiernan had made more friends than enemies amongst Into Eternity fans even as they mourn Block’s absence, the majority of fans willingly giving her the benefit of the doubt. It’s anybody’s guess how the future will play out now that the band essentially has two singers and Block’s Iced Earth career has exploded, but the bottom line is that Kiernan is committed to shedding even more blood, sweat and tears in order to make things work. 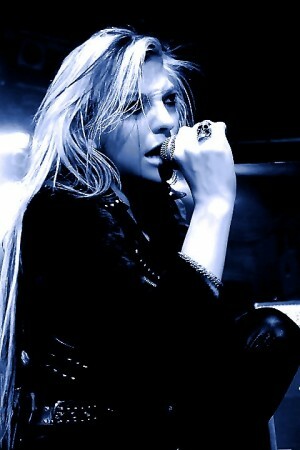 Her journey began in November 2011 when Into Eternity put out the call for a “touring only” singer. She jumped in with both feet. Posted in: The Interviews. Tagged: Amanda Kiernan, Iced Earth, Into Eternity, J Kiernan Photography, Stu Block, The Order Of Chaos, Tim Roth. It takes remarkable strength of character to throw yourself to the wolves knowing you’re going to get bitten and potentially ripped to shreds. So it goes that, regardless of what Into Eternity fans may think of vocalist Amanda Kiernan stepping in to replace Stu Block – now a member of Iced Earth – for the band’s live activities, they have to respect her for willingly putting herself in harm’s way. With a few gigs under her belt at the time of this writing, Kiernan had made more friends than enemies amongst Into Eternity fans even as they mourned Block’s absence, the majority seemingly able to give her the benefit of the doubt. It’s anybody’s guess how the future will play out now that the band essentially has two singers and Block’s Iced Earth career has exploded, but the bottom line is that Kiernan is committed to shedding even more blood, sweat and tears to make things work. 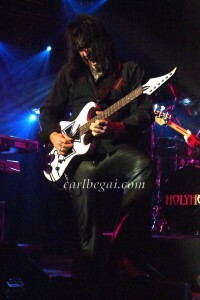 Kiernan’s journey began in November 2011 when Into Eternity put out the call for a “touring only” singer. She jumped in with both feet. Posted in: The Interviews. Tagged: Amanda Kiernan, Dystopia, Iced Earth, Into Eternity, Stu Block, The Order Of Chaos, Tim Roth. 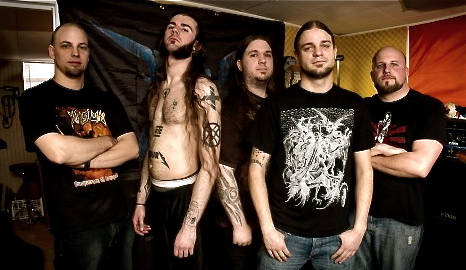 When word came down in March 2011 that Canadian bashers Into Eternity’s vocalist Stu Block had replaced Matt Barlow as the singer for Iced Earth, it caused major confusion amongst fans in both camps. Iced Earth followers that were aware of Block’s shriek-and-growl style were convinced guitarist / founder Jon Schaffer had lost his mind, while Into Eternity fans were left wondering if the band had a future without Block’s unique vocal talents. 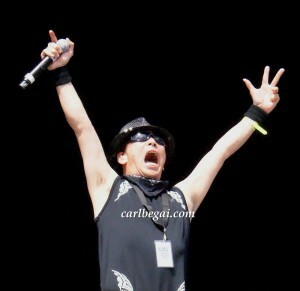 Both he and guitarist Tim Roth have maintained that Block is still with Into Eternity – a claim that rang true with the recent release of the single ‘Fukushima’ – but news that The Order Of Chaos singer Amanda Kiernan had been brought in as Block’s live replacement so the band can tour served up another barrage of questions. With that in mind, Roth was happy to hook up and set the record straight. Posted in: Administrivia. Tagged: 3 Inches Of Blood, Amanda Kiernan, Chela Rhea Harper, Coal Chamber, DevilDriver, Dez Fafara, Dream Theater, Iced Earth, Into Eternity, James LaBrie, Sarasvati, Static Impulse, Stu Block, Tim Roth. The complete interview can be found here. Posted in: Reviews. 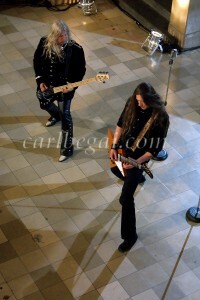 Tagged: Dystopia, Iced Earth, Jon Schaffer, Matt Barlow, Night Of The Stormrider, Stu Block, The Dark Saga, Tim "Ripper" Owens. It’s been a long, long, long time since Iced Earth has done anything for me, with Something Wicked This Way Comes from 1998 standing as the last knock-down no-holds-barred skull basher in guitarist / founder Jon Schaffer’s catalogue. There have been some noteworthy moments since then – ‘The Phantom Opera Ghost’ from Horror Show and ‘The Reckoning’ from The Glorious Burden being the mindblowing faves – but nothing that dug its hooks in down to the bone for the space of a full album. With that in mind, the usual industry hype that preceded the release of Dystopia sounded like smoke-blow for the hopeless fanboy, automatically setting my expectations on the low side as a failsafe against disappointment. The first spin through Dystopia yanked jaw to floor. 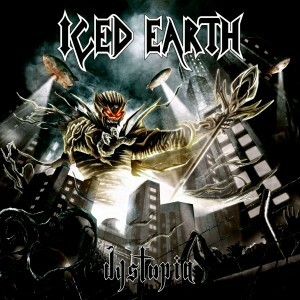 Repeated listens since then – again and again… and again – have convinced me that Iced Earth is back in the game and capable of surpassing the brightest moments of The Dark Saga / Something Wicked… breakthrough era from over a decade past. Posted in: The Interviews. Tagged: Dystopia, Iced Earth, Into Eternity, Jon Schaffer, Matt Barlow, Stu Block, The Incurable Tragedy, The Scattering Of Ashes, Tim "Ripper" Owens, Tim Roth. 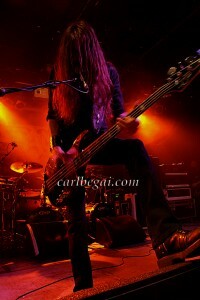 Vancouver-born Stu Block made a name for himself in 2006 as the new singer for Into Eternity, adding a welcome new dynamic to the band’s established extreme prog metal sound on The Scattering Of Ashes. 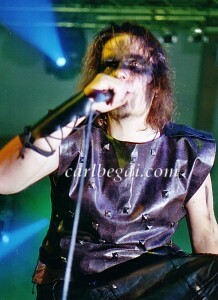 In 2008 the band released a follow-up, The Incurable Tragedy, which cemented Block’s reputation as one of metal’s most versatile (and severely underrated) vocalists. 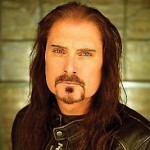 Iced Earth founder/guitarist Jon Schaffer was paying attention, however, and when it was confirmed that fan-favoured singer Matt Barlow would be calling it quits, he followed through on a third party recommendation and brought Block in to fill the vacant slot. 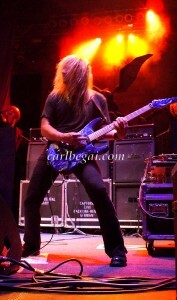 The end result is somewhat mind-boggling for those that are familiar with Block’s Into Eternity brand of shred and Iced Earth’s traditional metal sound; he fits the songs on the new album like a glove, bringing an intensity to the new songs that Barlow hadn’t exhibited in ages and Tim “Ripper” Owens never had. 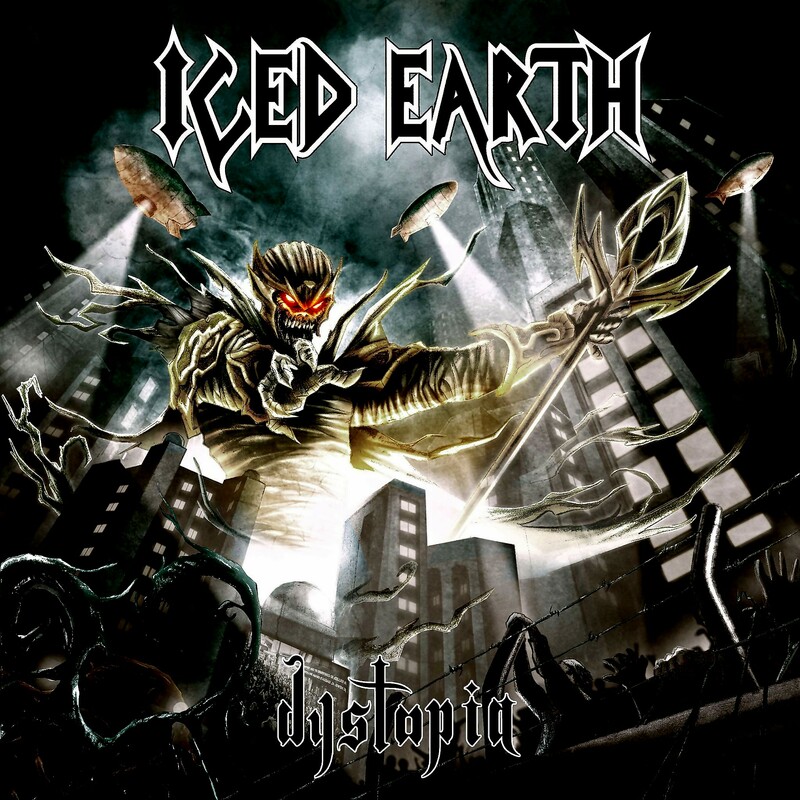 It’s fair to say Dystopia may well be Iced Earth’s strongest album in over a decade. 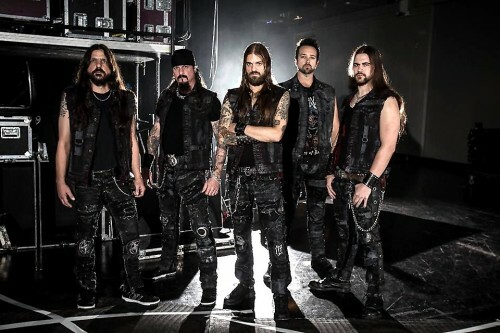 For the serious musician with leanings towards the old school, accepting an invitation to join a band with Iced Earth’s credentials would be a no-brainer. Take a moment to look at the big picture, however, and you see the mountain of responsibility Block had to consider before accepting Schaffer’s offer. Posted in: Administrivia. Tagged: Dystopia, Headstones, Iced Earth, Jon Schaffer, Kicking & Screaming, Sebastian Bach, Skull Fist, Stu Block. 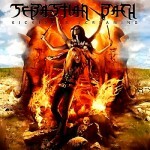 First off, unless you’ve been living under the weight of a large rock and your own self-importance, you’re aware that former Skid Row vocalist Sebastian Bach has released his new album, Kicking & Screaming. (Yes, yes, I know he lives in the U.S., but Doodness grew up in Peterborough, Ontario and cut his teeth in Toronto). As I mentioned in my review (found here), the record didn’t do anything for me during the first spin, but it won me over and has since become a regular listen in the hallowed halls of BW&BK’s European crash pad. Apologies to Baz for my initial misgivings, but the album is a brilliant piece of work. If you were ever a fan of the Skid Row debut and Slave To The Grind, pick it up.